I want to pull my tank screen on my 85 300td to clean it and to possibly pull out the large dent in my tank in this area. I was hoping I could slip a bar inside the screen hole with a chain attached and pull the dent out but I am confused on how the pickup line comes into the screen. The pictures on the cd dont show this. I'am assuming there must be a hole in the end of the screen that slips over the pickup line. Is my assumption correct and if so is there room to slip something in there to pull down on the tank? Also I spent about two hours searching old threads, I dont think my technic is very good. Seems like most of what I search through is of no meaning to what I'm looking for. I would appreciate any suggestions. 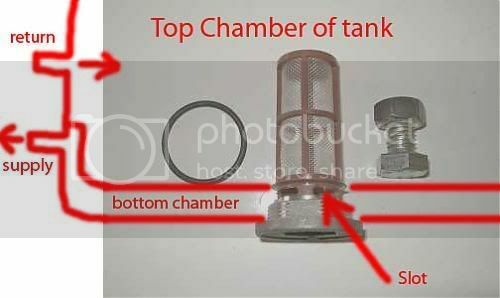 The fuel line, feed hose, screws into the fuel strainer and the strainer screws into the bottom of the tank. Once you remove the fuel strainer, you may have enough room to try your idea. Leverage might be the tricky part. When you say 300TD I am assuming it is a station wagon. This post shows the difference between the sedan and wagon fuel screen. If the car is the sedan then what SD Blue said is correct. As you learn the various parts of the car you will improve your search function. For the link above I inserted "Fuel screen lip dave" in the search window. I know that it was my post, the "dave" I always sign my posts, Dave. I also know I wrote "fuel screen" and that I wrote "lip" That is how I found it. If I wanted it specifically for the sedan I would have added that word in the search. You can also go to the advanced search and link just the diesel discussion. Last edited by dmorrison; 12-06-2006 at 12:55 PM. Not on W123 TDs. The fuel screen will need a large (22mm) allen head wrench to remove. There is *NO* connection to anything on the strainer. The supply and return lines are attached directly to the tank. There is internal baffling to make sure the fuel goes through the strainer and out the supply line (the lower of the two). exactly what I was looking for. This dent is pretty big and effects my capacity which is already pretty small. Everything in a junkyard around here has been in the salt. I edited my signature, I guess I'll see if it worked with this post. Crossing my fingers. I'm not very computer savy. well, if your idea doesnt work, might try dropping the tank, plugging all the lines and giving her a bit of air pressure.not too much, though. 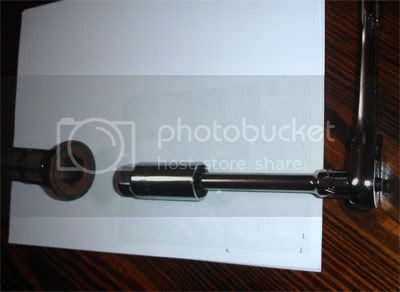 Would one of those suction dent popper devises work for your tank dent? I don't know if you could get a good suction on the tank, but it might be worth a shot. I doubt the suction style would work, but the style that you glue on, may work if you REALLY CLEAN THE BOTTOM OF THE TANK! the serations on the bottom would prevent a suction type device from adhering. I'm just posting to help clarify how the tank strainer works in a wagon. Here's a diagram I drew to help explain. The tank in a wagon has two chambers. Last edited by Chad300tdt; 09-23-2008 at 05:38 PM.